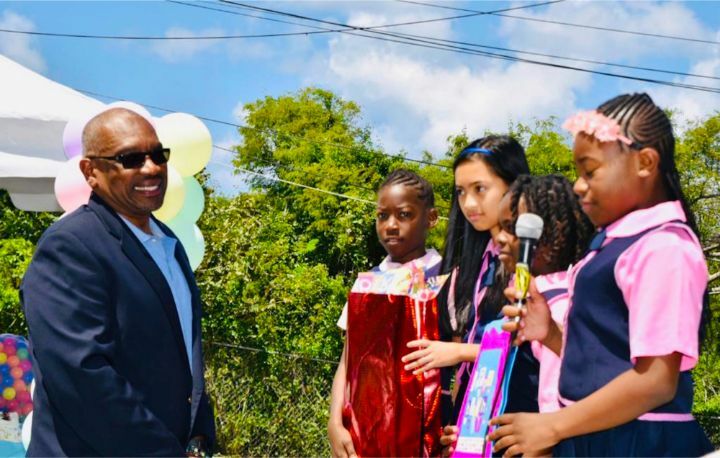 GAMBIER VILLAGE, New Providence, The Bahamas -- It’s a custom that he’s obviously come to enjoy – celebrating his birthday with the students of Gambier Primary School, which is located in one of the oldest historical villages in western New Providence. Prime Minister, the Most Hon. Dr. Hubert Minnis was born April 16, 1954. But due to school closure over the Easter Holiday, he visited the campus on Friday, April 12, 2019 and was treated to a special Birthday celebration. “I am happy to be here,” he said as he acknowledged the tradition he’s been doing for more than a decade. However, the Prime Minister had a few surprises for the students as well. 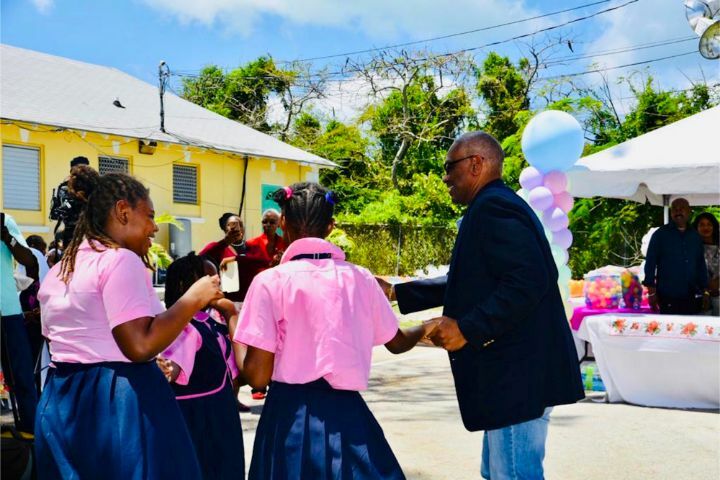 He announced that there will be a “functional” Internet (Wi-Fi) centre shortly, and pledged $1,000 annually to a deserving student in the name of his late sister Doris Hall, who was a special education teacher. Pointing to the school’s motto: ‘Commitment Brings Success’, the Prime Minister encouraged students that anything is possible once they remain focused. 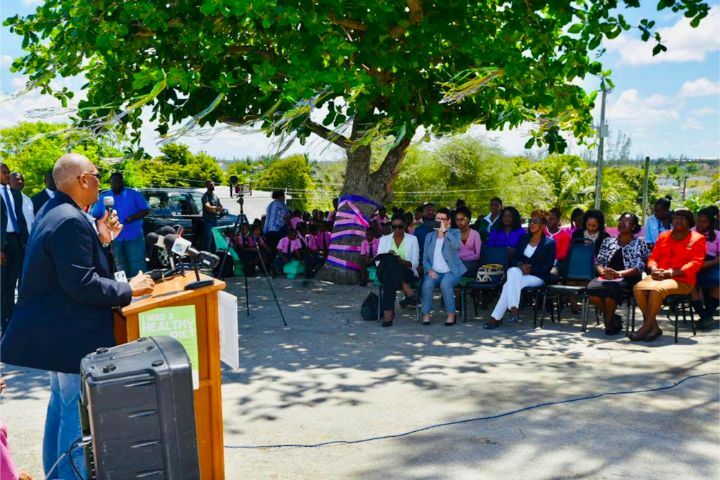 He also pointed out that Gambier Primary School is a model for healthy lifestyles – on the grounds is a garden, which has reaped a harvest of cauliflower, broccoli, tomatoes and other produce. The prime Minister urged other schools throughout the country to follow suit in a move towards living healthier lives. The students re-enacted the Easter Story of Jesus’ death and resurrection and sang reflective songs accompanied by a Rake ‘n’ Scrape ensemble. And with “Hearts of Gratitude” they also presented the Prime Minister with several gifts, a birthday cake, and engaged him in dancing. The students were presented Easter baskets, and pizza and soft drinks for lunch. 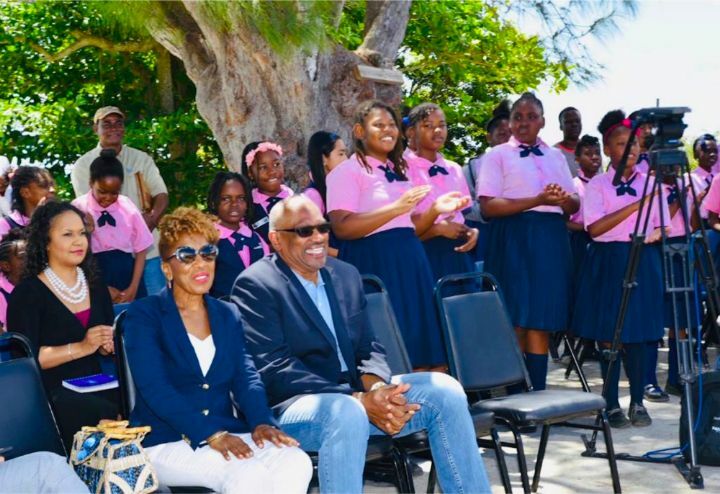 The celebrations concluded with the Prime Minister and students being read to by Laurenne Helene of the Volunteer Reading Project, and his participation in the planting of the National Tree of The Bahamas, the Lignum vitae -- on the school grounds.